Myzinum sp. 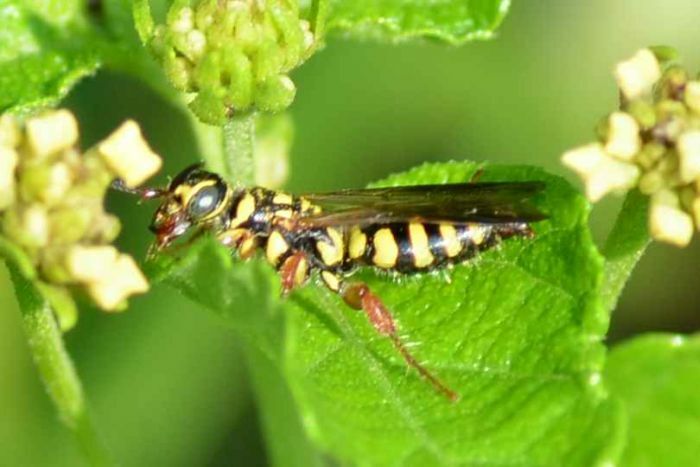 (Tiphiid Wasp) ♀. Size: approx. 10-20 mm. Photo: 08/04/11, 11 am. There are ten species of Myzinum in North America. Females are more robust and have curled antennae that are shorter than in their male counterparts. Females lay one egg per provision host (typically soil-dwelling white grubs). 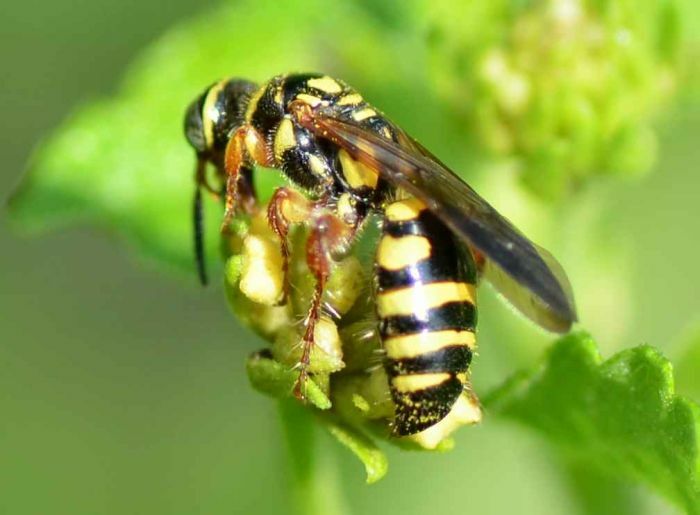 First the larvae feed on non-essential tissues, later on essential organs killing the host.